Item # 310313 Stash Points: 1,499 (?) This is the number of points you get in The Zumiez Stash for purchasing this item. Stash points are redeemable for exclusive rewards only available to Zumiez Stash members. To redeem your points check out the rewards catalog on thestash.zumiez.com. Stay cozy during the winter months in the Nova Black Beanie from adidas. This thick, faux sherpa constructed beanie comes in a black colorway, and is completed with a woven brand tag on the foldover cuff, for a design that will tie all of your cold weather looks together. 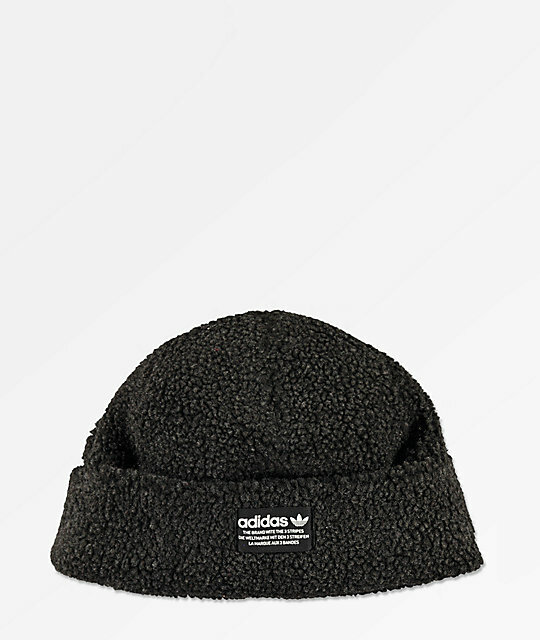 Nova Black Beanie from adidas. Black colored thick faux sherpa construction. Woven brand tag on fold over cuff. Spot clean only, lay flat to dry.